It's the first time she hasn't scored a best actress nod in six years. For the last six years, Julia Louis-Dreyfus has awoken on the morning of the Emmy Award nominations and heard her name as a nominee for lead actress in a comedy series. Except for this year -- because her show "Veep" has been on hiatus during her battle with breast cancer. Louis-Dreyfus made history last year when she took home the golden trophy for the sixth year in a row, for her beloved role as Selina Meyer on the show. She beat the record for the most wins for a performer in one role, previously held by Candice Bergen, who took home five awards for portraying Murphy Brown. "I don't know what to say about it other than I'm sort of numb. 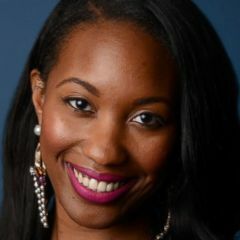 I can't believe it," she told reporters backstage at the Emmy Awards last year, after making history. "I'm just incredibly honored and amazed this happened to me. It's just all very baffling and a s--- ton of good luck." 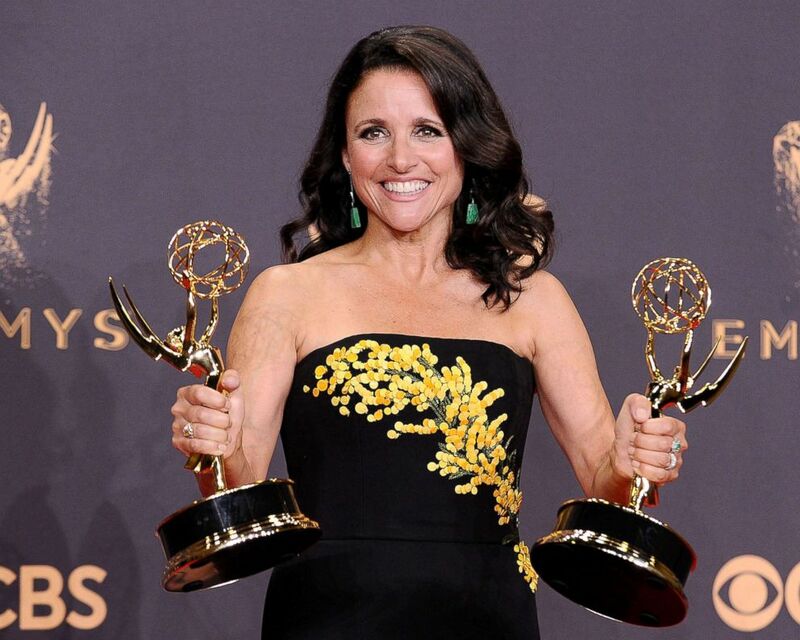 In total, Louis-Dreyfus, 57, has won nine Emmys, including group honors. She has been nominated for 24 Emmys over her decades-long career. (Jason LaVeris/FilmMagic/Getty Images) Julia Louis-Dreyfus poses in the press room at the 69th annual Primetime Emmy Awards, Sept. 17, 2017, in Los Angeles. The actress revealed she had breast cancer last September by sharing her diagnosis on Twitter. "1 in 8 women get breast cancer. Today, I'm the one," she wrote. "The good news is that I have the most glorious group of supportive and caring family and friends, and fantastic insurance through my union. The bad news is that not all women are so lucky, so let's fight all cancers and make universal health care a reality." The announcement drew support from her many fans, including former Vice President Joe Biden. He tweeted, "We Veeps stick together. Jill and I, and all of the Bidens, are with you, Julia." Louis-Dreyfus documented her battle with cancer on social media with motivational messages and songs. In October, the actress shared in an Instagram caption that she had just finished her second round of chemotherapy. She then thanked singer Katy Perry for creating her song "Roar" along with her "Veep" co-stars, Tony Hale and Timothy Simons "for their hilarious and loving inspiration." Three months later, Louis-Dreyfus marked her final day of chemotherapy. She celebrated by sharing a video of her adult sons lip syncing to Michael Jackson's hit song, "Beat It." "My beauty boys @henryhallmusic @charlie_hall made this for me today, my last day of chemotherapy," she captioned it. "Pretty swell, right? Ain’t they sweet?" Louis-Dreyfus shared in February that she had surgery related to her cancer, by posting her "first post-op photo" on Instagram. "Hoorah! Great doctors, great results, feeling happy and ready to rock after surgery," she wrote in the caption. "Hey cancer, 'F--- you!'" Around the same time that Louis-Dreyfus announced her diagnosis, HBO announced that her show "Veep" would end after seven seasons. "The decision to bring Veep to a close at the end of next season is bittersweet," HBO President of Programming Casey Bloys said in a statement. "We love the show and everyone involved but respect the producers’ choice to bring Selina Meyer’s journey to its conclusion after an extraordinary run of critical and award-winning acclaim. 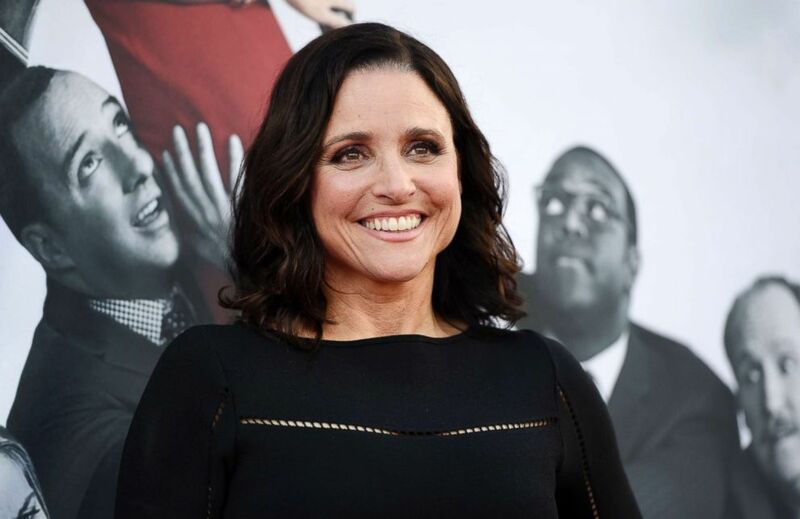 Julia Louis-Dreyfus’ comedic brilliance infused Selina with a dynamic presence and a vibrant wit which will ensure her a place in the history of television’s most iconic comedic characters. We look forward to producing the seventh and final season." Still, filming the show's last and final season was pushed back as Louis-Dreyfus focused on her recovery. Star Matt Walsh told Entertainment Weekly back in January that Louis-Dreyfus had already returned to the political comedy in a limited capacity. (Chris Pizzello/Invision/AP) Julia Louis-Dreyfus, a cast member in the HBO series "Veep," poses at an Emmy For Your Consideration event for the show at the Television Academy in Los Angeles, May 25, 2017. "We’ve seen [Julia], she’s done some table reads, she’s doing well, she’s finished her last chemo, she’s in recuperation. Her prospectives have remained excellent throughout. She’s very well loved; she’s a tremendous person," he said. Walsh added, "Veep is on hiatus, we’ll start filming in August and it will air in 2019." Although HBO hasn't confirmed shooting or airing dates, Bloys told EW: "When Julia is ready to get back we’ll be shooting — I’m not sure what date we settled on — but we’re waiting for her to feel well enough to get back to it." ABC News reached out to HBO, but didn't immediately hear back.